AVMM recently hosted a Taster session for anyone interested in our unique tradition and we’re delighted to welcome a group of young new recruits, now learning the dances in preparation for the Annual Day of Dance in Adderbury on 22 April. 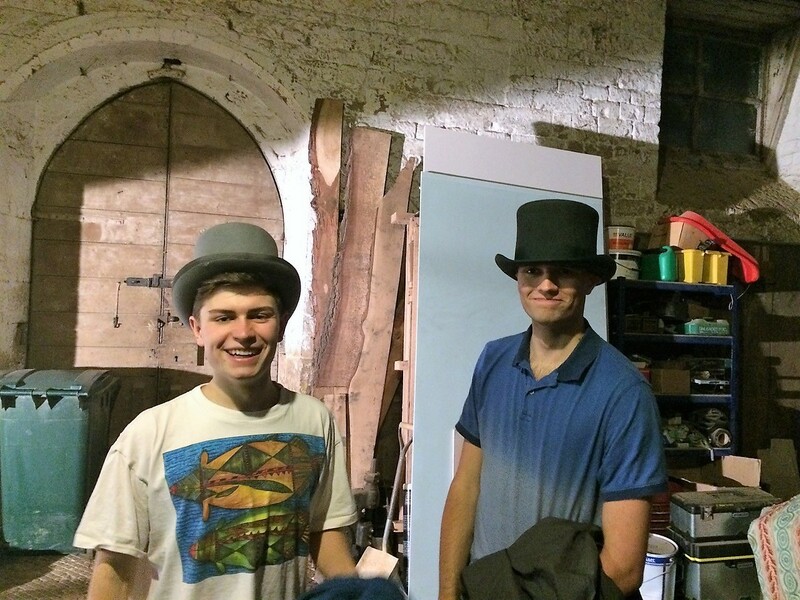 Pictured below, Giles (left) and James try out top hats for size from the AVMM collection at the Wednesday evening practice session. AVMM is appealing for large size top hats for other new recruits, if you can assist, please contact John via the Contact Us section at the website.